The Africa Yoga Project HHH (Handstand, Hugs and Happiness) tour brings AYP to the U.S. twice a year. Instructors from Africa tour the country and lead community classes with the goal of sharing their energy and their mission of empowering change and hope. The fundraising effort enables AYP to continue sharing yoga and an enlightened way of life with their communities back in Kenya, across Africa and in the rest of the world. I first learned about Africa Yoga Project in 2014 when I started practicing Baptiste Yoga. In 2015, I was fortunate enough to attend a class led by two AYP instructors at Yoga Reaches Out in Albany, NY. I was drawn to their energy and love of life. I started following them on social media, attending US based AYP events and attended Baptiste Level Two training led by AYP founder, Paige Elenson. It was during that week that I knew I wanted to get back to Africa and work with AYP. My goal is to assist teacher training in Kenya and bring my family on a Seva trip. I am optimistic and confident that I will turn that goal into a reality. When I saw the Handstand, Hugs & Happiness announcement, I knew I wanted The Hot Yoga Spot to be a stop on the tour. AYP is changing lives and making a big impact by training young people to be yoga instructors and leaders in their communities. This helps them provide income to support themselves and their families, bring hope to their communities, the blind and the disabled. Their impact reaches across 13 countries in Africa and the work they are doing is changing lives in a big way. This tour is the definition of "being up to something bigger than yourself." I’ve been so inspired by all of the instructors, leaders and staff from Africa Yoga Project. I can’t wait to get to Kenya, but in the meantime, I’m thrilled to bring AYP to the Capital Region! 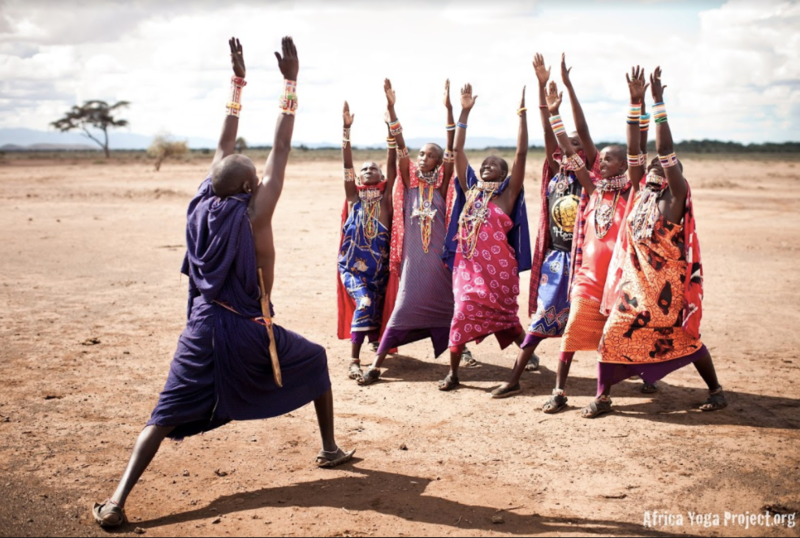 Next week, join us in welcoming Margaret and Vicky from Africa Yoga Project. They will be leading a practice of yoga and mindfulness for several hundred Shenendehowa Middle School students on Friday, October 27, at 9:00a.m. Later that evening, you have the opportunity to join them for a donation based community class at The Hot Yoga Spot in Albany at 6:30p.m. On Saturday, October 28, I am hosting a donation based community gathering at 5:00pm at my home in Clifton Park. This is a great chance to join together as a community to get to know Margaret and Vicky and learn about the work they are doing with Africa Yoga Project. -Tanya, Baptiste Tier 1 Certified Instructor at The Hot Yoga Spot. If you want to participate in any of the events next weekend, click here to sign up. If your unable to attend the events next weekend but want to contribute to this great cause, you can do so here. : HHH Fall 2017 Tour.